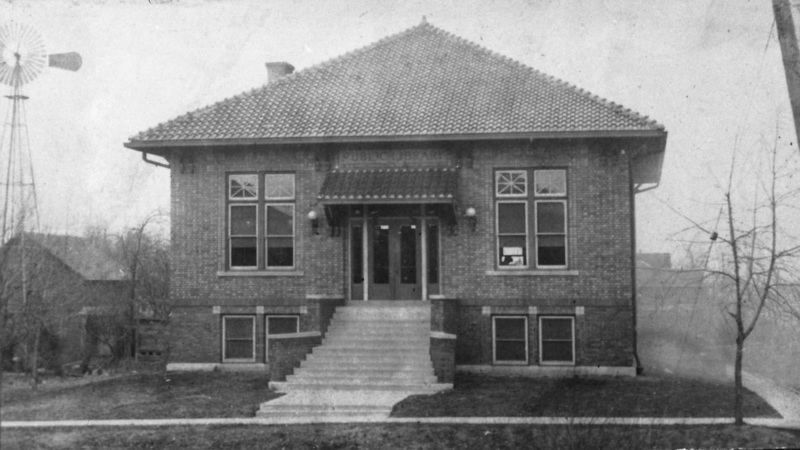 was constructed in 1913 & dedicated in 1914 when it opened as Carmel's public library. The structure was built with a grant from the Carnegie Corporation for a total of $11,000. Andrew Carnegie's wealth helped to establish numerous colleges, schools, nonprofit organizations & associations in the United States & throughout the globe. Among his many philanthropic efforts, the establishment of public libraries was especially prominent. The first Carnegie library, as they were commonly called, opened in 1883 in Scotland. in total funded some 3,000 libraries. The building served as Carmel’s public library until 1970. 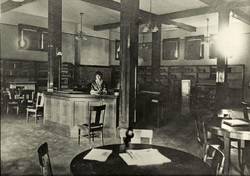 In 1972, the library building was purchased by the Town of Carmel & used for official offices & a courthouse until 1989. 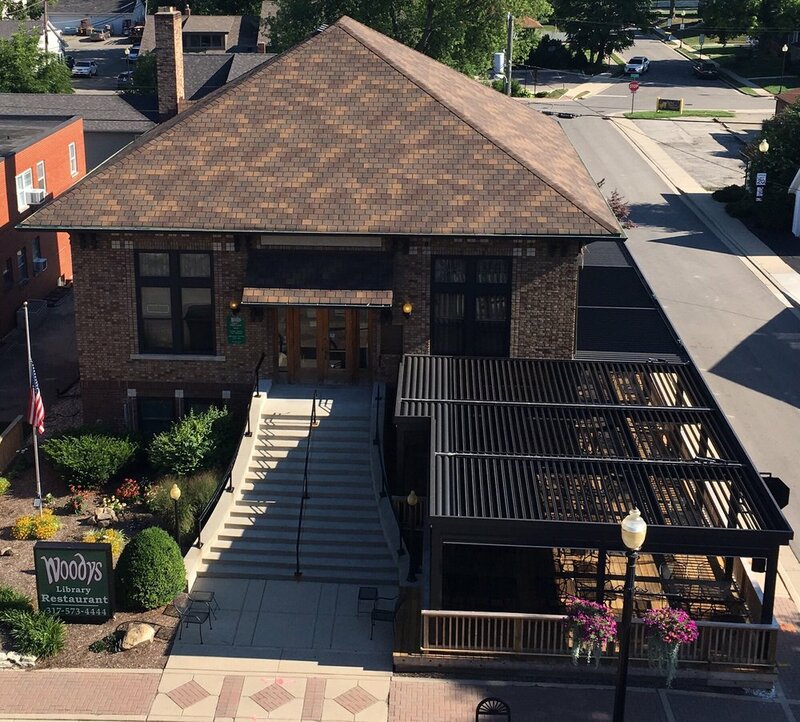 In May 1998, the library building opened as Woodys Library Restaurant & continues to serve the Carmel community. _is locally owned by husband & wife team, “Chef” Richelle & Kevin “Woody” Rider. The title of the restaurant, originated from Kevin‟s nickname, Woody. Woodys serves lunch & dinner in the unique bi-level building with upstairs dining, a downstairs neighborhood pub & outdoor patio seating. The neighborhood pub atmosphere is a favorite gathering spot and the dining area is ideal for a local dining experience. met at Carroll Company, a mutual wine distributor, when separate meetings overlapped. They married in 2005 & utilize their passions to work together providing Carmel with independent eateries. Their "teaming up" works well with Kevin overseeing the daily business & front house operations & Richelle taking care of menu development, kitchen, wine & décor details. Richelle & Kevin are members of Northview Christian Life Church where they cater meals, volunteer & lead a life group. They are both active in the Carmel community with Kevin serving as an elected City Council member. continues to give strong support to Woodys Library Restaurant as a favorite dining destination. Richelle & Kevin are thankful & proud to be both residents & business owners in the Carmel community. So much so, the Riders have opened a sharing plates restaurant & bar, divvy, in Carmel City Center.